Dave Phinney is a worldly winemaker. His Locations range, known for their distinctive labeling that identifies the country of origin, includes wine from Spain, France, Italy, Portugal, Argentina, California, Oregon, Washington, Texas and Corsica. Whew. That’s a lot to keep track of, and a lot of airline miles accumulated in a year. We have tasted most of these wines and the quality is uniformly high. Like the prior wines, these wines were received as tasting samples. Beyond the distinctive labeling, Dave takes a decidedly different approach to winemaking than almost every other winemaker. He throws appellation regulations that restrict winemaking by boundary and grape variety out the window and simply makes a wine that he believes is the best representation of a specific location. Many Locations wines are blends but not all. We have one of each in this Cellar Note. This wine is a blend of Chardonnay, Sauvignon Blanc, Viognier and Roussanne. Chardonnay and Sauvignon Blanc you might expect from California, especially Chardonnay, but Viognier and Roussanne probably not. As usual Dave is mixing things up. He drew from growers in Napa, Sonoma and Mendocino for this blend and used a combination of stainless steel and oak fermentation vessels. Then, after aging in 30% new French oak, he blended the finished wines to get the flavors he wanted. This wine is 100% Vermentino, called Vermentinu, in Corsica (and Rolle in Southern France). 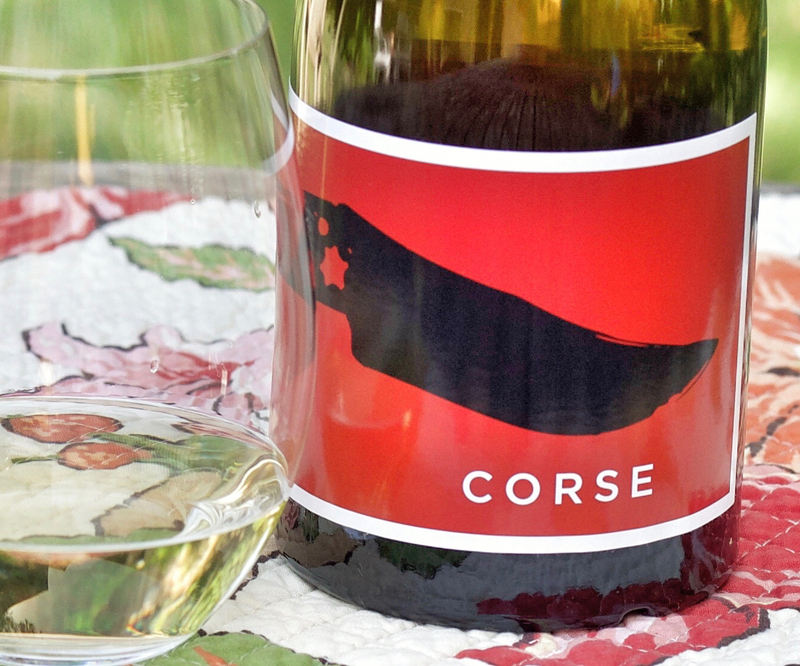 The folks at Locations describe Corsica as , “A discrete place with its own distinct personality, our intent was to showcase Vermentino in its purest form while remaining true to our Locations concept.” This wine was fermented and matured in stainless steel. You will notice a departure from the characteristic oval Locations wine label for the CORSE. It is the only exception in this range of wines. The CORSE label bears a shepherd’s knife common to the island. Since this is the only wine from an island location in the Locations series, it seem appropriate it should have a unique label. Just as an aside…I came across this wine on a restaurant wine list over the winter and ordered it on the strength of the other Locations wines I had tasted. I couldn’t resist trying a Vermentino from Corsica and I’m glad I did. It paired perfectly with the rich and warming Brandade de Morue I ordered. If you would like to read about other Locations wine please check out some of our other articles or search on Pull That Cork for “Locations” to see all articles. A Unique Vineyard Tour & Tasting Experience: Sutro Wine Co.
What an interesting project. 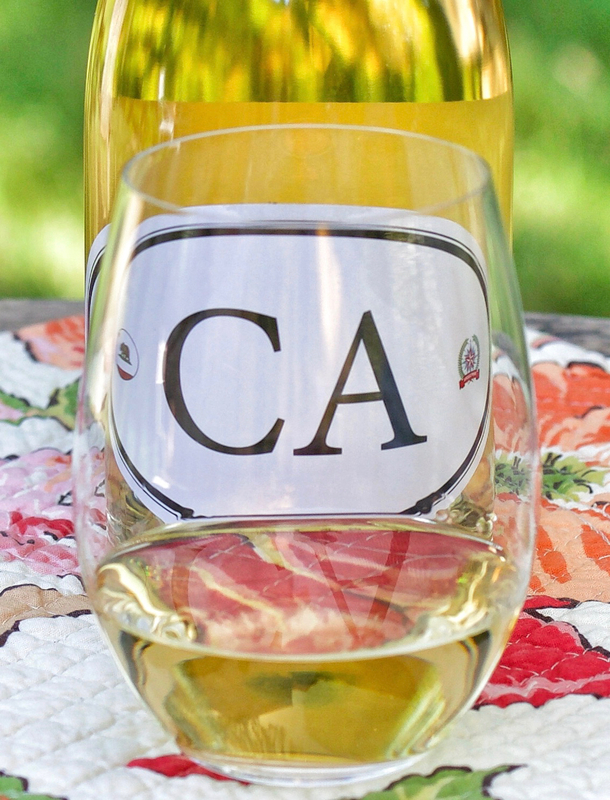 I recognize that “CA” label, but have never tried it. Now I will keep my eyes peeled! Cool! Thanks for reading and for your comments, Carol! That is so cool that you have gotten to enjoy more than we did in the virtual tasting. These sound equally good.